Q: What is the similarity between Myanmar, North Korea, Burundi, Somalia and Germany? A: None of these countries has a speed limit on their motorways. 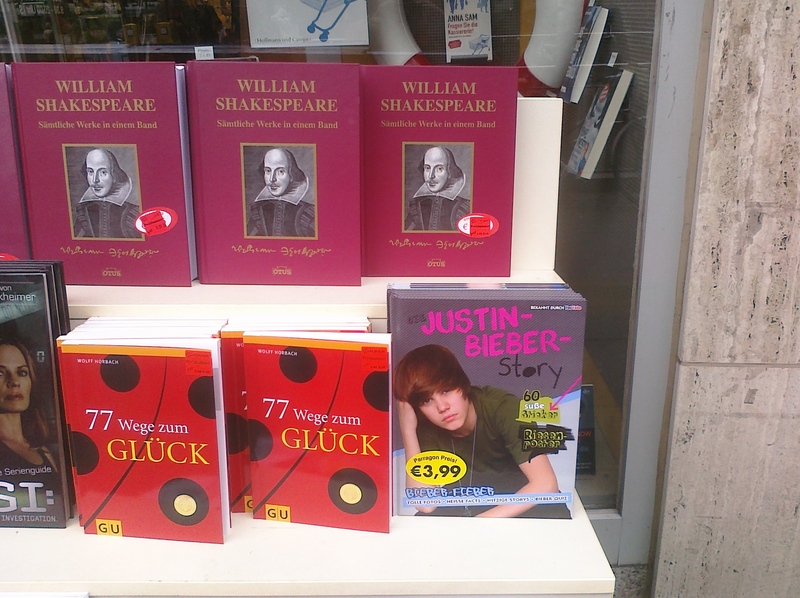 Justin Bieber has made it..
…to Bielefeld finally! So: no World-Tour to North-Korea, but Bieber-in-Bielefeld instead. But – wait – there is no such thing as Bielefeld: everybody knows Bielefeld actually doesn’t exist!